The phone has been completely refurbished. The dial has be cleaned and calibrated and should give years of trouble free service. If a ringer is desired you can order the phone with a warbler added or you can opt for an external ringer such as the RB-2 or the RB-5. 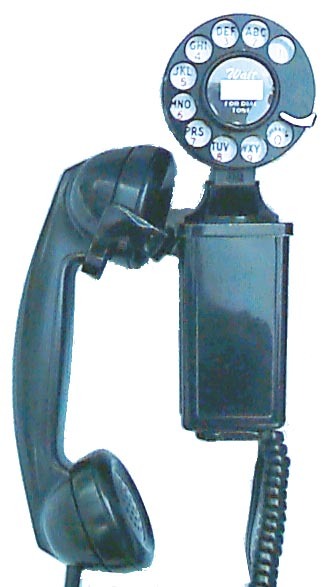 The phone comes with a 6 ft. modular line line and can be plugged into most modern home phone systems. The phone has a 30 day return privilege and comes with a one year warranty. Older style. Can add warbler as a ringer for $15 extra.